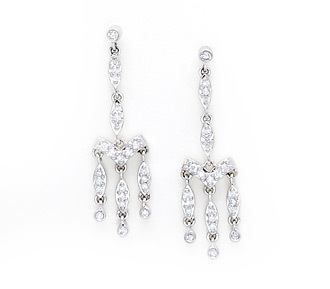 These diamond chandelier earrings are an elegant choice of wedding jewelry. 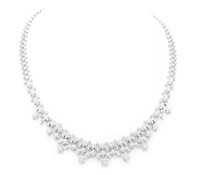 Their three hanging marquis shaped pieces with small round diamonds throughout create a hint of Victorian style and compliment a wide variety of bridal necklaces. 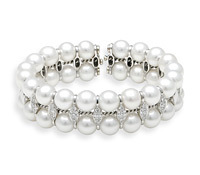 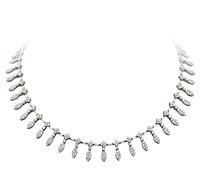 Diamonds: .70 TW | Gold: 14K White | Post | Length: 1 1/2 in.